Thompson announced via twitter in early January 2019 that he would be entering the 2019 NFL Draft. 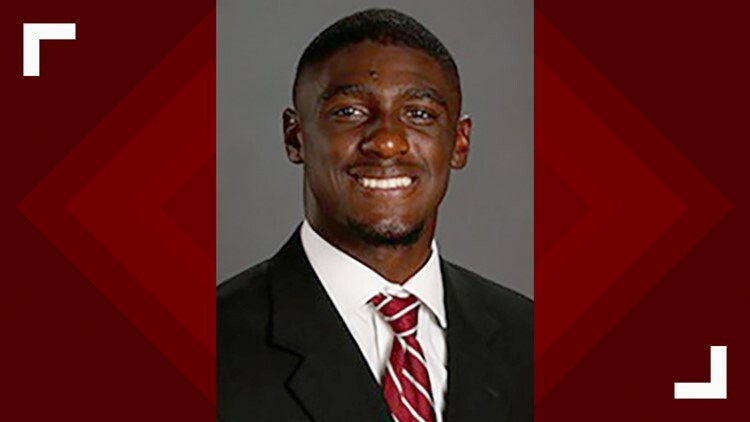 GALVESTON, Texas — Felony assault charges against an All-American University of Alabama football player from Orange have been dismissed. A motion was filed to dismiss charges with the 122nd District Court based upon, "the disclosure of new evidence provided by the defense... the case is dismissed in the case of justice," Assistant District Attorney of Galveston County James Haugh told 12News by phone. Deionte Thompson, 20, of Orange, was charged with felony aggravated assault causing serious bodily injury in Galveston County in 2017. Thompson, a former West Orange-Stark football player, had been charged in a 2017 spring break brawl at Crystal Beach along with four other men from Orange. Villery-Samuel in an October 2017 statement maintained Thompson's innocence in the brawl which seriously injured Noah Frillou in March 2017. Villery-Samuel said in the October 2017 statement that many witnesses said Thompson was not involved in the assault and there is no video evidence to the contrary. He also said "the mob of people that Noah Frillou was believed to be amongst" had used racial slurs and thrown drinks at "the people that were with Deionte Thompson." A fight then broke out between "the mob of people believed to be with Noah Frillou and some of the individuals with Deionte Thompson" Villery-Samuel said in the release. In the statement Villery-Samuel contends that neither Thompson or "the people he was with" initiated the incident. Villery-Samuel also reiterated in the statement that after interviewing Thompson at the scene he was not arrested by deputies. VIllery-Samuel previously told 12News that he believes his client was named because of his status as a football player at the well-known University of Alabama. Rufus Joseph, 18, Morris Joseph, Jr., 18, and Daletredricc Wolfford, 21, all of Orange were also indicted on charges of felony aggravated assault causing serious bodily injury related to the 2017 brawl. Morris Joseph, Rufus Joseph are also former West Orange-Stark High School football players.